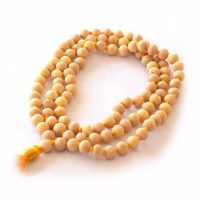 Chandan mala is a spiritual product that is used to speak mantras or jaaps to make happy the God/Goddess. It has quality as much as Tulsi mala. 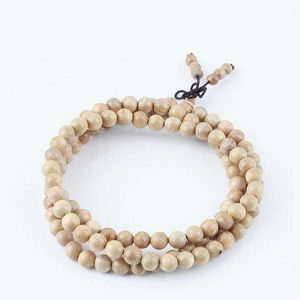 Only the difference between both type of mala is chandan mala has fragrance and Tulsi mala is a fragrance-free garland .When a person use chandan mala to recite mantras then chandan with its breezy features gives peace and calmness to the person. A safed chandan mala is mostly used to recite mantras for Lord Krishna and radha. Vaishno jaap can also be recited with safed chandan mala. 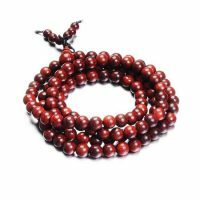 Chandan mala has various types of medical benefits, help to keep away the person from mentally disturbance, bad addictions, high and low blood pressure and many other diseases.